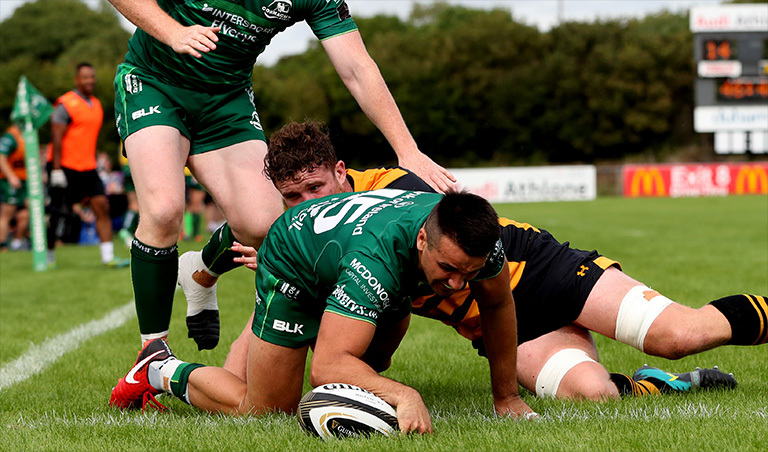 Connacht made it two from two under new head coach Andy Friend this evening with a 7-try, 43-10 win over Premiership giants Wasps at Dubarry Park Stadium. The western province went ahead in the twelfth minute, following Matt Healy’s threatening run down the left. He was brought down just short before space was created for centre Tom Farrell to go over between the posts. The home side stretched their lead, four minutes before halftime, after Farrell jinked through a gap in midfield, to send Healy clear. 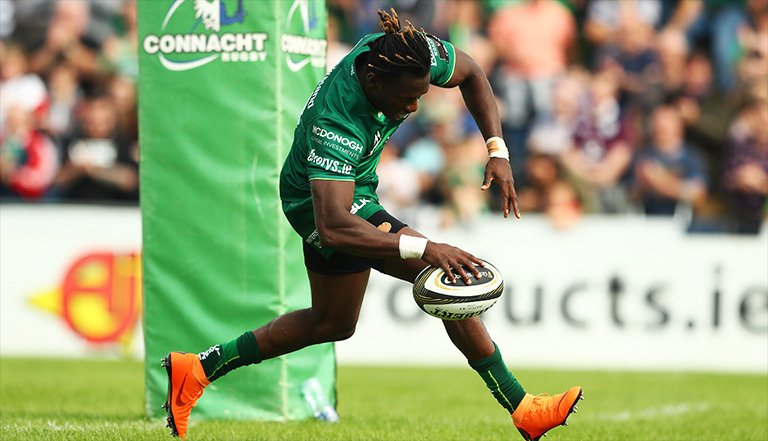 Connacht then took complete control in the second half with Cian Kelleher, Niyi Adeolokun, Rory Scholes, James Mitchell and Conor Carey all going over for tries. An excellent start for the men in green, who like an entirely different side under Friend this season.